He is, as well, Professor Emeritus, University of California, Berkeley, where he was Professor of City and Regional Planning and Professor of Sociology from 1979 to 2003 before joining USC. He currently holds a visiting chair at the Institute of Global Studies, Maison des Sciences de I’Homme in Paris. He is also Director of Research at the Department of Sociology, University of Cambridge, and Fellow of St. John’s College, Cambridge. He was a Distinguished Visiting Professor of Technology and Society at the Massachusetts Institute of Technology from 2004 to 2009; Distinguished Visiting Professor of Technology and Society at Santa Clara University from 2006 to 2010; Distinguished Visiting Professor of Internet Studies at Oxford University from 2006 to 2010; and the Kluge Chair in Technology and Society at the U.S. Library of Congress. He has also been a visiting professor at the Universities of Montreal, Catolica de Chile, FLACSO-Chile, Campinas-Sao Paulo, Brasilia, Metropolitana de Mexico, UNAM-Mexico, Central de Venezuela, Geneva, Copenhagen, Amsterdam, Wisconsin-Madison, Boston, Southern California, Hong Kong, Singapore, Hitotsubashi (Tokyo) and Cambridge. He has lectured in over 300 academic institutions in 46 countries. He is the author of 26 academic books and editor or co-author of 23 additional books, as well as over 100 articles in academic journals. His trilogy “The Information Age: Economy, Society, and Culture” was published by Blackwell in 1996-98 in its first edition and in 2000-2003 in its second edition. It has been reprinted in English 22 times, and translated into Spanish (Spain and Mexico), French, Portuguese (Brazil and Portugal), Chinese (in complex characters in Taipei, in simplified characters in Beijing), Russian, Swedish, German, Italian, Korean, Parsi, Croatian, Bulgarian, Macedonian, Danish, Lithuanian, Turkish, Polish, and Catalan, and is in the process of translation in Japanese, and Arabic. Professor Castells’ books include “The Internet Galaxy” (Oxford University Press, 2001), which has now been translated in 17 languages; “The Information Society and the Welfare State: The Finnish Model” (Oxford University Press, 2002, with Pekka Himanen), translated in 10 languages; “Globalizacion, Desarrollo y Democracia: Chile en el Contexto Mundial” (Santiago: Fondo de Cultura Economica, 2005); “Mobile Communication and Society” (Cambridge: The M.I.T Press, 2006) (co-authored), translated in 7 languages; “Communication Power” (Oxford: Oxford University Press, 2009), translated into Italian, Spanish, Catalan, Portuguese, Chinese, French, Polish, Russian and Arabic; “Aftermath: The Cultures of the Economic Crisis” (Oxford University Press, 2012) (co-author and co-editor); and his latest book, “Networks of Outrage and Hope: Social Movements in the Internet Age” (Cambridge: Polity Press, 2012, second edition 2014), currently translated into Spanish, Italian, Catalan, Portuguese, Turkish, Korean, and Chinese, with more translations yet to come. 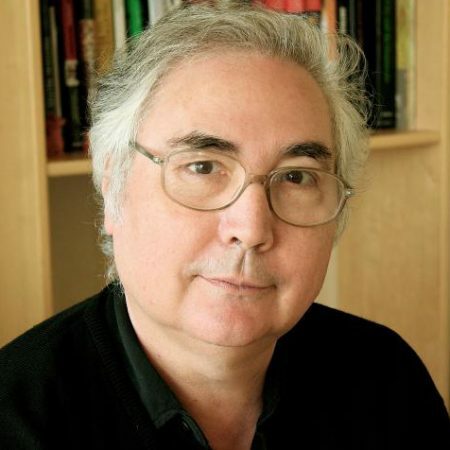 Professor Castells’ most recent book, “Reconceptualizing Development in the Global Information Age”, which he edited along with Dr. Pekka Himanen, was published by Oxford University Press and released in August 2014. Among other distinctions, Castells has received 2013 Balzan Prize from the International Balzan Prize Foundation, and the 2012 Holberg International Memorial Prize from the parliament of Norway. He received the Guggenheim Fellowship; the C. Wright Mills Award from the American Society for the Study of Social Problems; the Robert and Helen Lynd Award from the American Sociological Association for his lifelong contribution to community and urban sociology; the Kevin Lynch Award of Urban Design from M.I.T; the Medal of Urbanism from the City of Madrid; the Eric Schelling Prize of Architectural Theory from the Eric Schelling Foundation, Germany; the National Medal of Science from Catalonia; the Ithiel de Sola Pool Award from the American Political Science Association; the Godo Prize of Journalism, from the Foundation Count of Godo, Spain; the Compostela Award from the Compostela Association of Universities, Spain’s National Prize of Sociology and Political Science, the Eramus Medal of Science from the Academia Aeuropea; the Lifetime Achievement Award from the Oxford Internet Insitute. He has received, as well, honorary doctorates from the Universities of Valencia, Queen’s (Canada), Castilla-La Mancha, Twente (Netherlands), San Andres (La Paz), Sao Paulo (Medal of Honor), Higher School of Economics (Moscow), Helsinki University of Technology, University of Leuven (Belgium), City University of London, Universidad de Leon (Spain), East China Normal University (Shanghai), New School University (New York), Ecole Polytechnique Federale de Lausanne (Lausanne), Universite du Quebec a Montreal, jointly with Tele-Universite du Quebec, University of Costa Rica, University of Seville, the Royal Institute of Technology in Stockholm, University of Sao Paulo (Medal of Honor), Universidad Nacional San Martin (UNSAM), and the Universidad de Guadalajara. He is a Harold Lasswell Fellow of the American Academy of Political and Social Science, a Fellow of Academia Aeuropea, a Fellow of the Spanish Royal Academy of Economics and Finance, a Corresponding Fellow of the Mexican Academy of Sciences and a Corresponding Fellow of the British Academy. He has served on the boards or advisory boards of 20 academic journals. High Level Expert Group on the Information Society of the European Commission; Advisory Council on Science and Technology, Government of Spain; Advisory Board of the Research Institute of the International Labor Office (ILO), United Nations; International Advisory Committee to the Prime Minister of the Russian Federation on the Problems of Socio-Political Transition (1992); Advisory Council of the United Nations Task Force on Information and Communication Technology; Advisory Board of the Human Development Report of the United Nations Development Program; United Nations Secretary General’s High Level Panel on Global Civil Society and the United Nations; Advisory Council to the United Nations Secretary General on Information and Communication Technology and Global Development; Advisory Board of the International Association of Science Parks; Advisory Board of the Oxford Internet Institute, Oxford University; International Advisory Council on Information Technology and Development of the President of South Africa; Advisory Council on the Information Society, Government of Spain; Asian Media Information and Communication Center (current); Advisory Council of the United Nations Global Alliance for ICT and Development; Advisory Council of the Regional Dialogue on the Information Society in Latin America (current); Advisory Board of the Information Technology and Development Program of the Government of Chile; Scientific Council of the European Research Council of the European Commission (founding member, 2005-2008); Governing Board of the European Institute of Innovation and Technology (founding member, 2008-2012); and Board of Trustees of the California Institute of the Arts, Los Angeles. He has been a pro-bono advisor to the governments of Chile, Portugal, Spain, Mexico, Ecuador, Nicaragua, China, Brazil, Russia, Finland, and South Africa, as well as a consultant with US AID, the European Commission, the World Bank, United Nations Development Program, International Labor Office, and UNESCO.